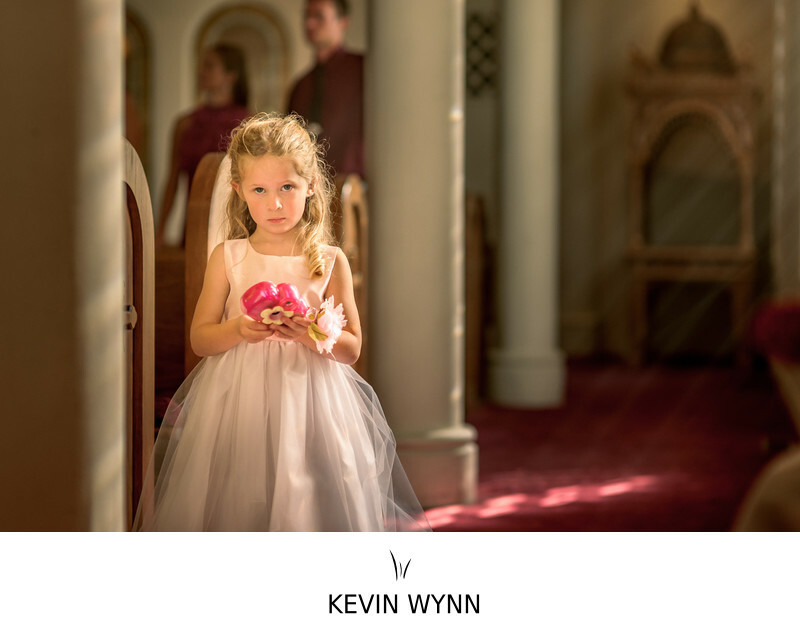 This adorable flower girl was taking ceremony photos at the Santa Barbara Greek Orthdox Church with her plastic toy camera. Location: 1205 San Antonio Creek Rd, Santa Barbara, CA 93111. Keywords: Ceremony (99), Santa Barbara (30).